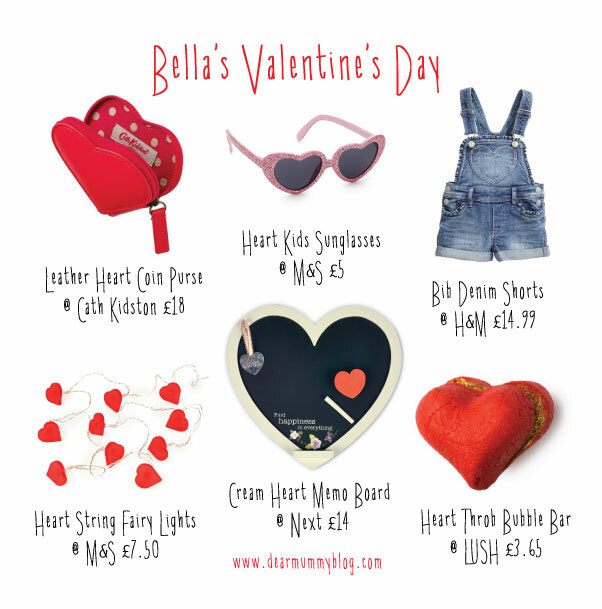 Valentine’s Day Gifts – That are FREE! Dear mummy, I think that’s how the song goes?!? 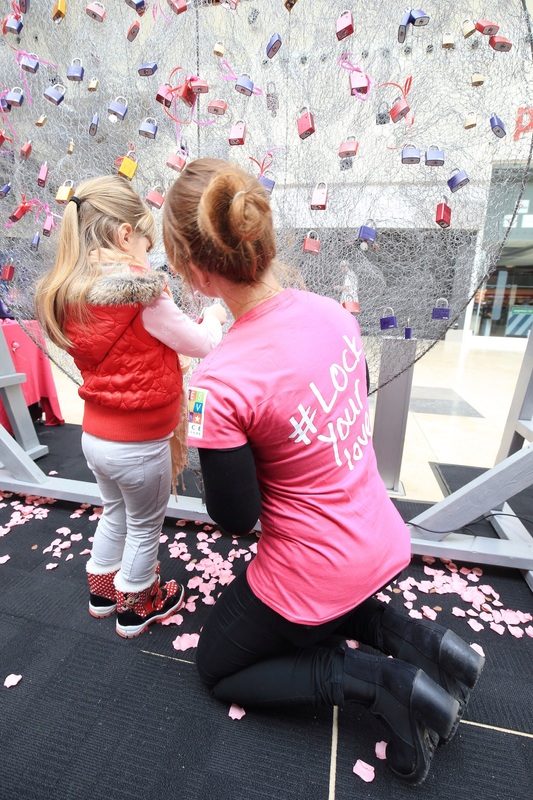 This week at Festival Place Basingstoke they are holding a very special event called #lockyourlove just in time for Valentine’s Day. 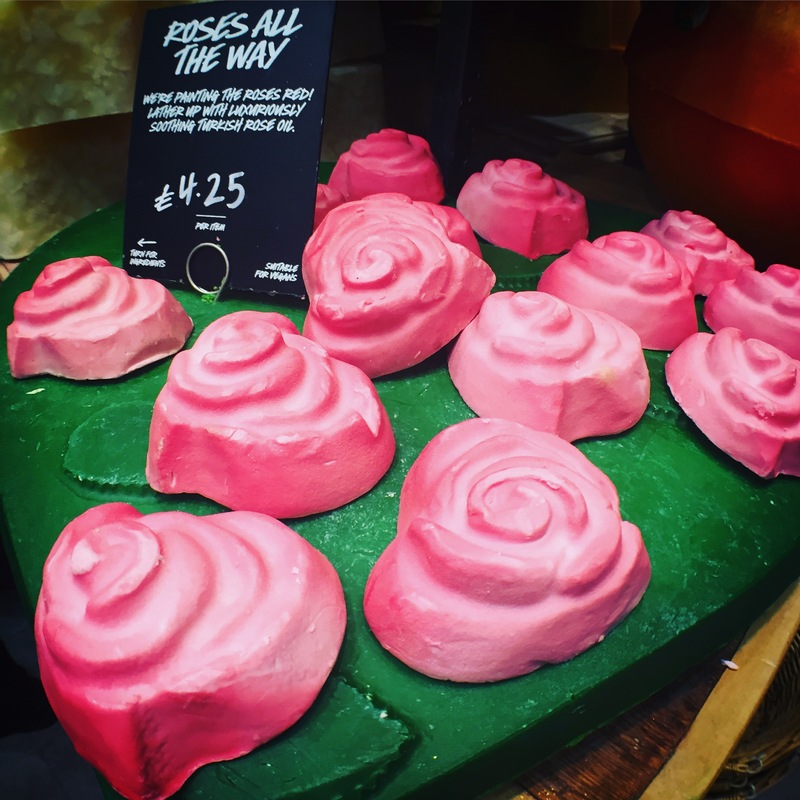 Festival Place is a huge shopping centre in Hampshire and they are offering shoppers the chance to ‘lock their love’ on a special heart sculpture in Porchester Square this Valentine’s Day. Copyright Robin Jones at The Digital South. 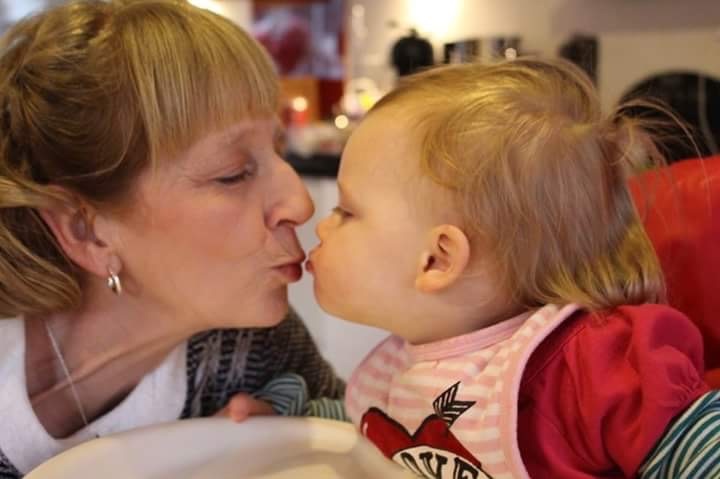 This creative idea launched last week and is running until Valentine’s Day on 14th February, shoppers will be given the opportunity to personalise a padlock with a tribute to their loved one and attach it to the Festival Place heart. 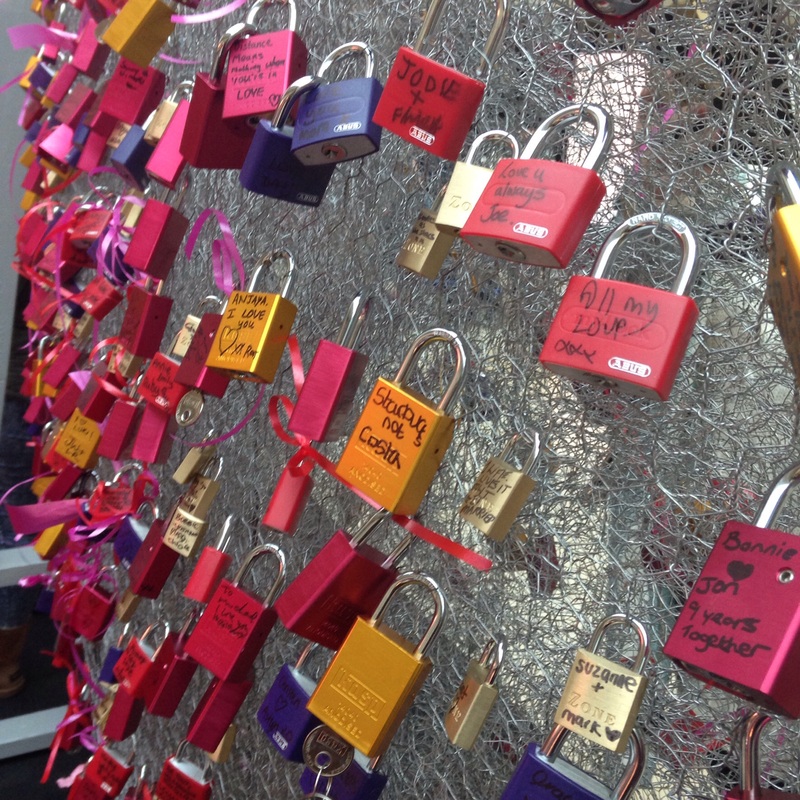 By taking a picture of their padlock and sharing on Facebook, Twitter or Instagram with the #lockyourlove hashtag shoppers will also have the chance to win super duper prizes from Festival Place retailers including Nando’s, Giraffe, Wagamama, Build-A-Bear, Thorntons and The Perfume Shop. Sounds good right? Festival Place are really sharing the love! 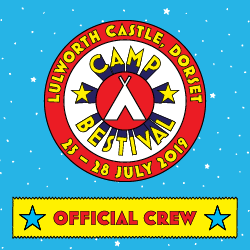 Shoppers are also encouraged to share the love by donating to Festival Place’s chosen local charity, the Ark Cancer Centre, when they receive their padlock in centre. The heart sculpture is a living art installation which is growing and changing everyday, the more people add their padlocks to it the more it comes to life. 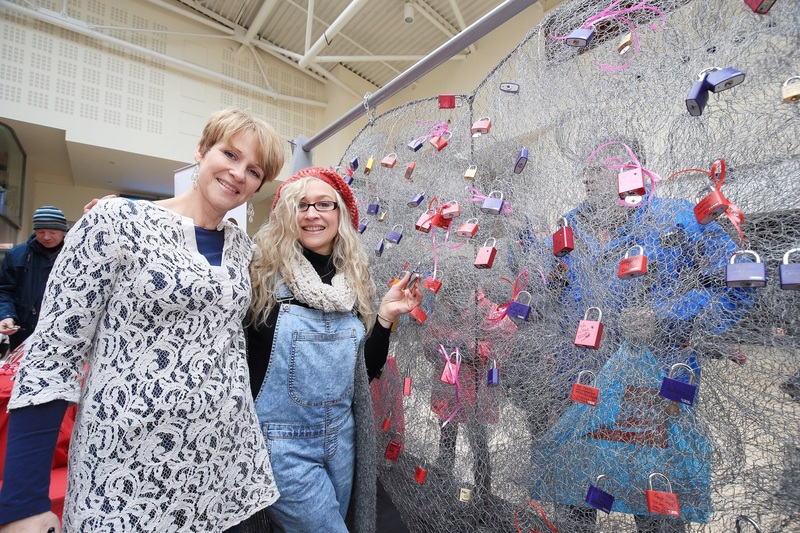 It was created by local artists Helen Dyne and Louise Hight, who met recently through All Our Own Crafts, a pop-up shop in Festival Place promoting local crafters. 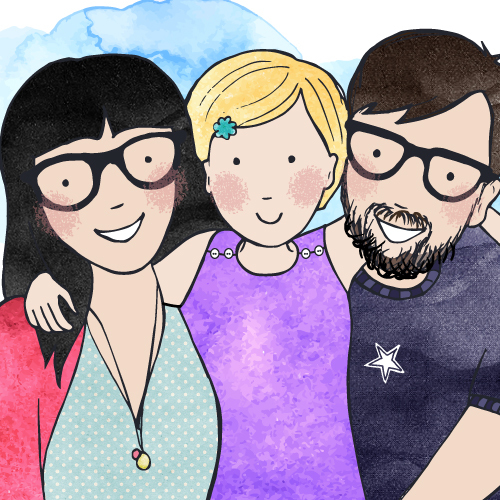 We popped in there before Christmas and wrote a post about this fantastic shop. We love how Festival Place is encouraging arts in the community and supporting charities. 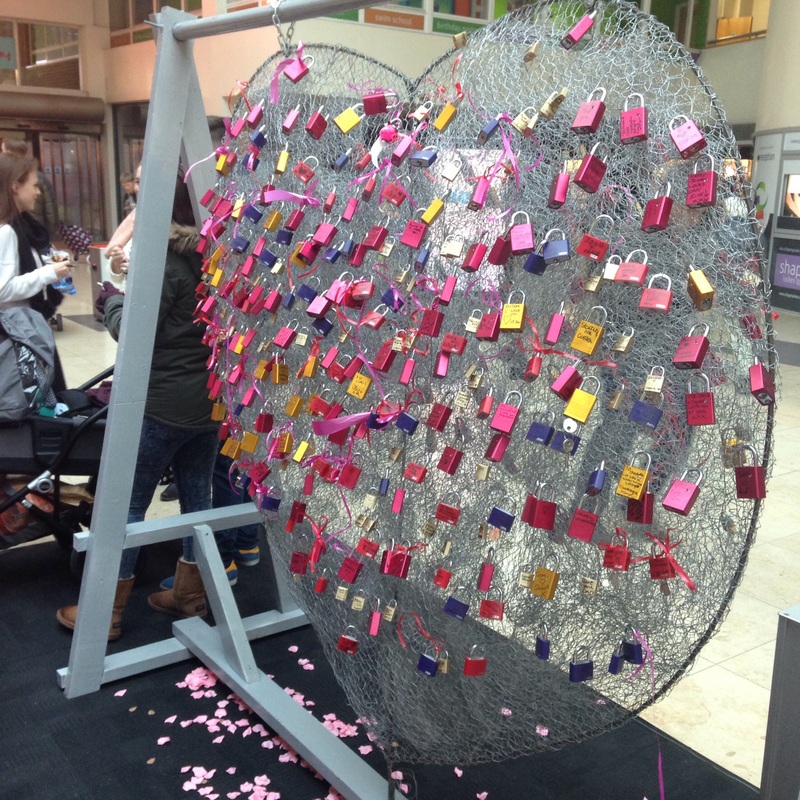 Want to find out more about #lockyourlove campaign at Festival Place? Then visit www.festivalplace.co.uk or find them on Facebook and Twitter. But be quick it’s only on until Saturday 14th.